If you love to be in the ocean and you want to see the amazing creatures under the water when you are in Bermuda, you should consider going snorkeling. See some of the tropical fish in their natural habitats. We have a guide to the reefs to go to when you are snorkeling in Bermuda. 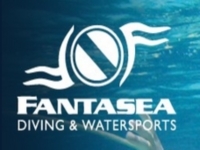 Start your snorkeling adventure at Fantasea Diving and Watersports! Discover the underwater world with your snorkeling gear at Fantasea Diving and Watersports in BM. Bring your friends along with you and have fun watching the creatures underwater for two hours at only $69 per person. This fee includes admission to Snorkel Park Beach. If you want to make a reservation online, there is an additional fee of five dollars. They also have diving, sightseeing adventures, cruises, eco adventure tours and private charters. You also get the chance to join the snorkeling team at Fantasea Diving and Watersports. Start your underwater adventures now! This snorkeling tour will introduce you to the pristine Sea Gardens and Shipwreck of the Vixen. Enjoy the sightseeing while learning the historic and cultural information of the area. The boat will anchor in three feet of water and you can put on your snorkel gear and explore the shoreline. 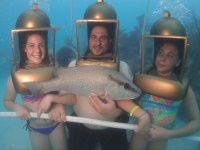 This snorkel tour costs $65 for adults and $45 for five to 12 years old children. This snorkel tour is for three hours and it includes the snorkel gear and snorkel vests. There is also a complimentary rum swizzle after the swim. Fun with water enthusiasts on the island! 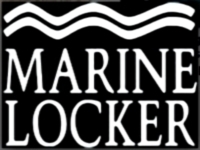 Marine Locker caters products and services relative to water sports, boats and cruises. Their dedicated staff will satisfy your needs, whether it is available in their company or not, they will contact the best supplier for your needs. Love water sports? Snorkeling in Bermuda? Diving? Skiing? Sailing on a boat? They have it all here. Have an issue with your boat? No need to worry, Marine Locker has an on-site technician that will resolve that issue. What are you waiting for? Come on and start your water sport adventures with Marine Locker! They are open from 8:30 am until 5 pm, Monday to Saturday. Do you love outdoor activities and want to be pampered at the same time? Go to Coral Beach Club, your all-in-one place for outdoor activities and relaxation. They have accommodations, beauty spa services and outdoor activities at the same time. 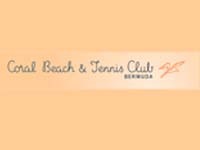 You can play tennis, lawn games, boating and water sports and also go snorkeling around Bermuda. Since the surrounding environment has a beach with lovely corals, it will be fun snorkeling with your friends! Are you a nature lover? They also have a tour of the grounds of Bermuda plants and trees as well as exotic ones. What is a vacation without shopping? At Coral Beach Club they also have souvenir items available at the Beach Office. Are you new to snorkeling? Or you have an experience but still want to have adventures under the sea? Whether you have an experience in snorkeling or not, you are always welcome here at Snorkel Park. Because its location is accessible to everyone, this became popular for snorkeling in BM. They are not only known for the best services in this area, they also want to preserve the beauty of the environment. The rates here at Snorkel Park are very affordable, almost everyone can go snorkeling. Their rate for a whole day is only $20 with a complete snorkel set. If you want to have just half the snorkel set, their rate is just ten dollars per day. This is one of the most famous snorkeling points in Bermuda. Jessie James Cruise's Captain "Chloe Mckey" has a fast RIB boat. It gets to the coral reef in about 25 minutes. It covers two snorkeling locations in about two hours. The Boat named "PISCES" is a fiberglass boat with a glass bottom. It is of 31 feet and has a capacity of 16 persons. Depending on weather, two of the following three sites will be chosen by the captain to snorkel at, Island & Beach area snorkeling, Shipwreck Sites, The Coral Reef / Sea Garden. PISCES departs from The Flagpole, located at front street in Hamilton. Have fun discovering the world underwater with water enthusiasts in Blue Water Divers and Water Sports! Whether you are a beginner or an expert in diving and snorkeling, there are more tips that these water enthusiasts can give you while diving and snorkeling underwater in Bermuda. 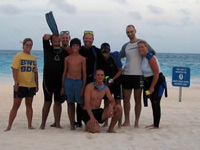 With their diver professionals in their company, they provide training courses for divers and those who love snorkeling. Blue Water Divers and Water Sports are also affiliated with hotels and beaches around the Bermuda Island. What are you waiting for? You have a chance to learn from the experts in diving and snorkeling underwater. Call or email them now and sign up for training! If you want to cruise and set your own time schedule for the activities that you want to do, Jessie James Cruises is the best for you! 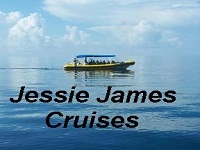 Jessie James Cruises offers a cruise service anywhere on the island of Bermuda. If you want to do activities while cruising, you can inform their staff and they can set it up for you. A few of their available services include snorkeling, swimming, sightseeing and cocktail cruises. 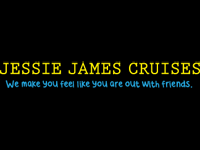 The good thing about being with Jessie James Cruises is they have convenient departure times from the dockyard as well as affordable rates for their services. Looking for fun water activities in BM? With just a drive away from Bermuda International Airport, you can now start your water adventures. 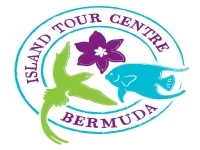 Since their location is very accessible especially for the tourists, it became popular on the island of Bermuda. At Blue Hole Water Sports you can go kayaking together with your friends; you can sail while relaxing or you can go snorkeling in the Grotto Bay. If you want to explore the area, they also have available motorboats, with a maximum of four people in each boat that is a good way to wander the area of Grotto Bay. Looking for a water sport? 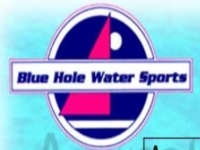 Blue Hole Water Sports also has windsurfing. They will provide the gears that you need to be able to have fun in the water. Want to go on vacation and book a good place accessible to do the activities you want to do? Want to relax while on vacation? There is also a spa center available for you! 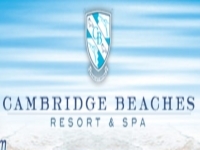 After doing the activities that you want, now you can lie down and relax with a relaxing spa or massage at the spa center at Cambridge Beaches. Want to cruise and go snorkeling in BM? 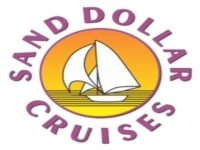 Go to Sand Dollar Cruises and you can do both or maybe even do more activities! Do you love cruising on an island and snorkeling at the same time? At Sand Dollar Cruises, you can cruise and go snorkeling. Not only that, they also have a swimming pool on their cruise ship which is an advantage to people who like to swim while enjoying their time on a cruise ship. 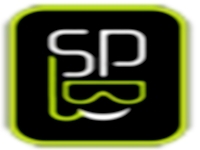 Looking for spa services? On the cruise ship they have available spa services, enjoy the relaxing spa and massage by the experts in massage and spa therapy. What are for waiting for? This is your chance to explore the island of Bermuda while snorkeling and relaxing at the same time. If you want to learn more about the underwater world, the best place to go is Snorkel Bermuda. You will surely be amazed with the wonderful and beautiful underwater world of Bermuda. Bermuda boasts over 200 square miles of coral reef. Bermuda's coral reefs are truly magnificent. Snorkel Bermuda provides three hour snorkeling activities which you and your family will surely enjoy. Through Snorkel Bermuda, you will also be able to enjoy riding the wooden sailing ship. Snorkel Bermuda has scheduled trips from Dockyard at 9 am, 12 pm and 3 pm daily.